Your child and car safety are two items that go hand in hand. 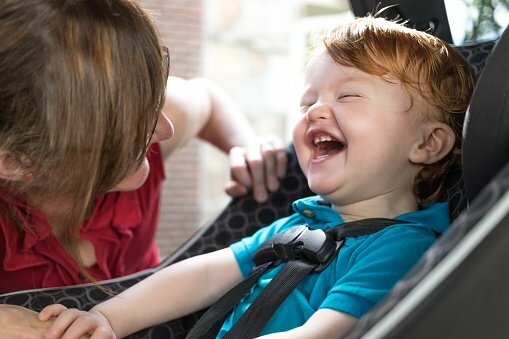 So, it might surprise you as a parent, and driver, that you're putting your child in the wrong car seat each time you take them out for a ride. It's either too small or doesn't have sufficient safety features. Or, you're not sure if you should transition to a booster, because they're taller than the suggested car seat height, yet they're too young to sit in the front seat. You have questions. When it comes to car safety and your child's car seat, you need to make the right choice for the highest levels of security. Choosing a car seat is not a "one-size-fits-all” decision. There are several car seats to consider for your child as a parent. And, it quickly becomes further complicated when you factor in the adjustments that will need to be made based on your child’s age and height. To ensure the highest levels of car safety, here are four standard car seats for parents to consider for their child. Rear Facing/Rear-Facing Convertible: All infants and toddlers should go in rear-facing car seats. With convertible seats, children up to 2 years old can utilize these seats. Forward Facing/Convertible: The forward-facing seat is for children who've outgrown a rear-facing car seat. Utilizing a harness, parents can extend the longevity of these car seats safely. Booster Seats: Each car seat manufacturer has different weight, age, and height limits in place for forward-facing seats. Once kids surpass those credentials, they should go into a booster seat. Typically, kids who are 4'9'' in height, and age 8-12, should sit in booster seats. Seat Belt: Once children reach the age of 13, or if they're grown enough to fit in the seat belt safely, it's time to transition out of a car seat or booster seat. Now you know the four types of car seats—but just which one is best for your child, specifically? Not all car seats are created equally. Parents should consider what their child’s safety looks like in the vehicle they have. Choose seats that are crash-rated for safety. The last thing you want is for your child to be in danger because you didn't research the right car seats. It's better to spend more money, and do more research than necessary, to find the safest car seats available. As a good rule of thumb, children from newborn to 2 years old should sit in a rear-facing car seat. A convertible, rear-facing seat can be utilized until the age of 3. A convertible, forward-facing car seat can be implemented when a child reaches the age of 2 and used through the age of 9. Once a child is 5 years old, through the age of 12, a booster seat is appropriate. Transition periods will vary for each parent. Additionally, the child's weight should be accounted for in deciding when to transition. 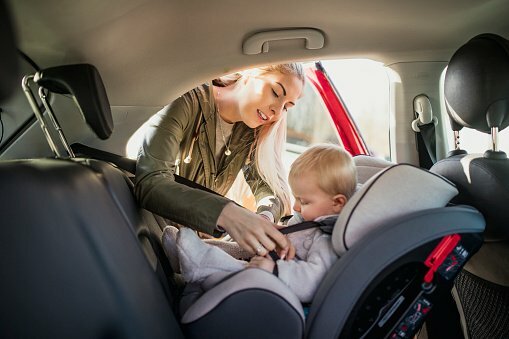 If you're not sure, utilize different resources, such as owners’ manuals and government resources, to help you determine if it is an appropriate time to transition to a new car seat for your child. It's not simply about shopping around, says Lorrie Walker, training manager and technical adviser of Safe Kids USA. "We find parents often make several mistakes at the same time," Walker says. "Taking just a few minutes to make sure your car seat is installed and used correctly could be the first step to saving a life." Walker goes onto note that abiding by state laws is also a mistake many parents make when transitioning to a new car seat or booster seat. That's because politicians make state laws and are not crash engineers. Therefore, before transitioning to a new chair, parents must look at these car seats laws as the minimum, not maximum, in child safety concerns. Parents should use their best judgment, as well as advice, safety guides, and manufacturer suggestions. Although state laws are in place, this is the bare minimum regarding safety, so it shouldn't be the most critical aspect parents consider when choosing a car seat. As we continue through Child Passenger Safety Week, these are a few of the many factors parents should consider when it comes to car safety and their child's safety in a car or booster seat. Remember to ask questions, visit the manufacturer, and have your child's car seat professionally tested by licensed safety check professionals, if you still aren't sure.